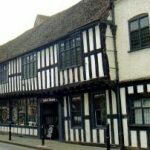 Explore the lost history of a house and city when you visit this beautiful example of Tudor architecture and discover how it has adapted and changed over the centuries from a home for weavers to an ARP office, via tavern and coffee shop! 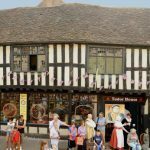 Situated on one of the most historic streets in Worcester this16th century timber framed building brings a vanished Worcester back to life. Inside the house you can see the original wattle and daub of the walls and trace 500 year old carpenter’s marks on some of the timber joints. Inside the rooms are open for you to see the wonderful architecture, including a splendid Tudor ceiling. Interactive exhibits that you can touch as well as look at are complemented by fascinating interpretations of the history of this ancient city. You can follow the house’s fascinating history from its origins as separate weaver’s cottagers to the Cross Keys Tavern, Mr Cadbury’s Coffee House, a school clinic and World War II ARP Warden’s office and billeting centre. Worcester’s industrial heritage is shown in rare archive photographs and artefacts. Especially for children there are games to play, a dressing up box and our own Barnaby Mouse trail to follow around the house. 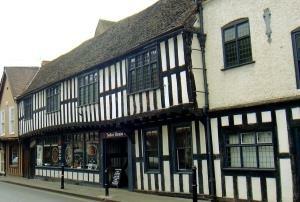 Tudor House is open Wednesdays, Thursdays and Saturdays from 10am - 4pm. Last entry at 3.30pm. Out of hours school and group visits by arrangement. Closed over Christmas and New Year.